The timeline graphic illustrates how the assessment and approval process works once an application for a marine licence has been validated. We aim to determine 90% of all licence applications within 13 weeks. Depending on the complexity of the case, some applications may take longer. Please note that this illustration does not apply to Self-service applications. Stage 1 of the application timeline begins once the initial validation and assessment has been completed and the case estimate has been generated, issued and accepted. The application is allocated to a case officer and case manager who inform the applicant that their application is being processed. The case officer conducts technical assessment of application particulars. 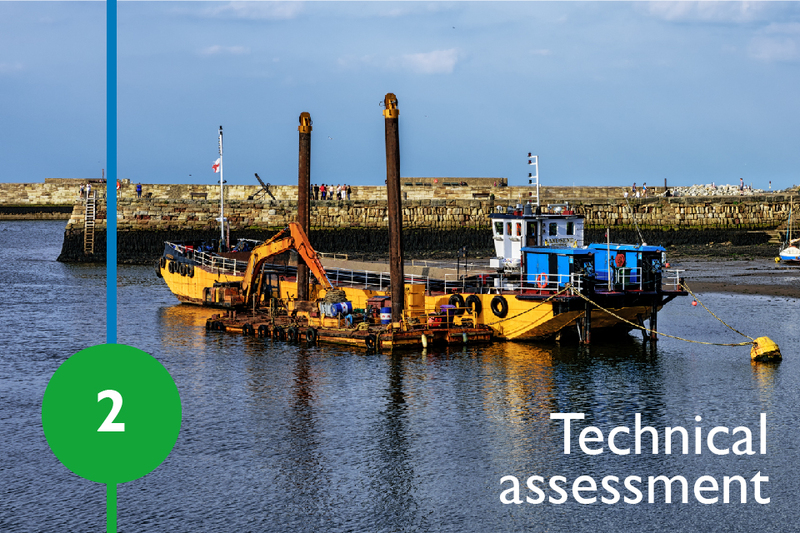 This may include Environmental Impact Assessment (EIA), Habitats Regulation Assessment, Marine Conservation Zone assessment, Marine Planning Assessment, Water Framework Directive Assessment, Waste Framework Assessment or others, as required. The case officer will request further information from the applicant if required at this stage. The case officer then advises the case manager of estimated timescales for approval. The case officer prepares the application for approval to proceed to consultation. The case officer instructs the applicant on their actions for advertisement if required. The case officer starts consultation on the application, any supporting documents and assessments. The case officer gathers information from consultees and the public. 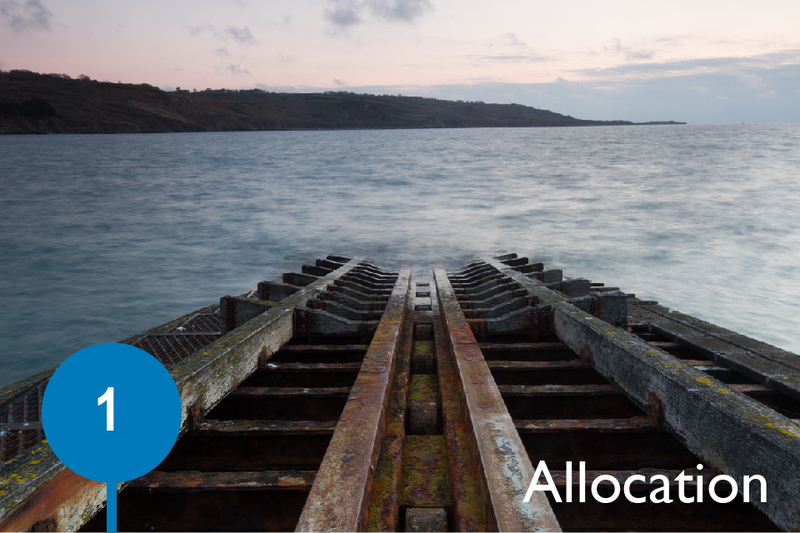 As responses are received, if the case officer considers that there is insufficient information to continue assessment or if new issues are identified, further consultation with the applicant and advisers may be required. 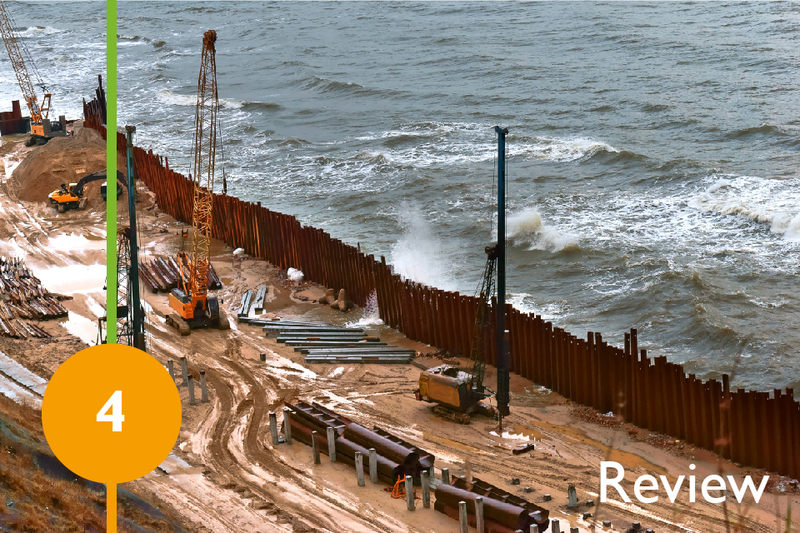 Where further consultation is required and the case officer cannot progress the application, a case may be put on hold pending receipt of further information or the application may be rejected. In exceptional circumstances a case may be placed on hold indefinitely. 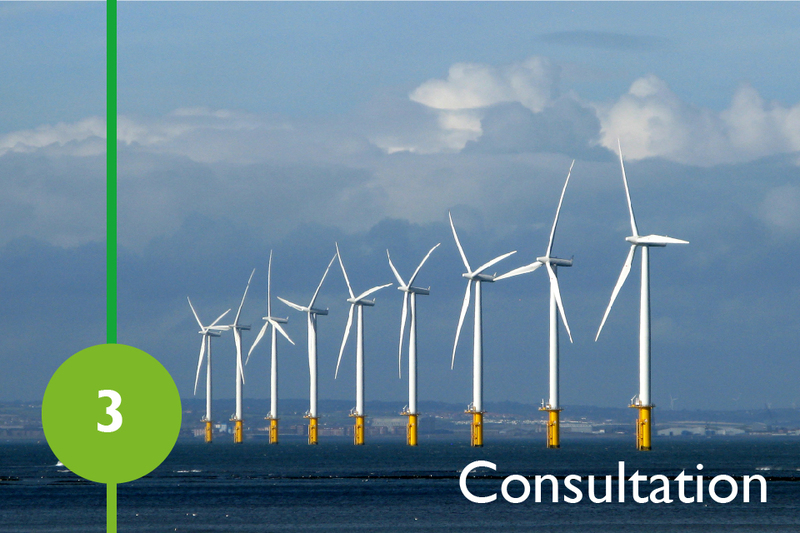 An application which also requires an EIA requires a minimum 6-week consultation. Non-EIA applications typically require a 4-week consultation. All responses (public and consultees) considered at Stage 3 are evaluated and recorded. Any other assessments identified in Stage 2 are concluded and recorded. A decision document is prepared if required. A draft licence is prepared and shared with the applicant. The applicant has an opportunity to clarify any misunderstanding if required. 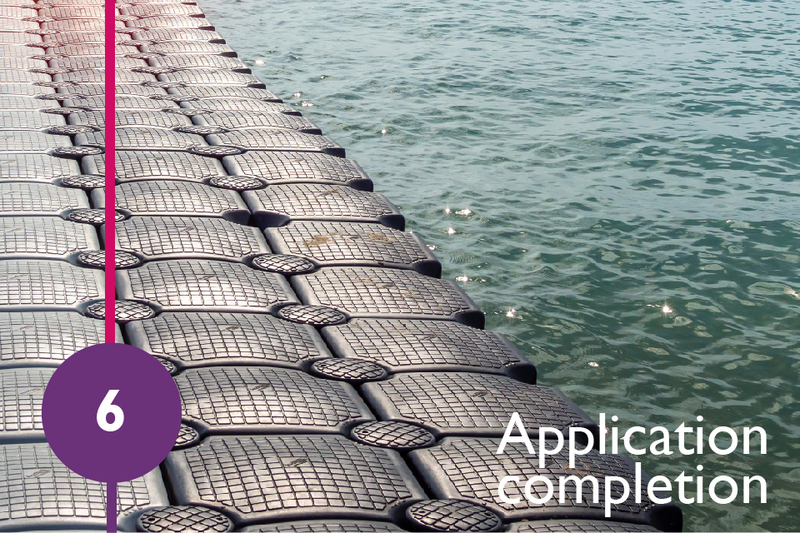 At the end of this stage, the application is approximately 2 weeks from the completion date. The case officer makes changes to the documents if required. The case manager approves the licence and all supporting documents for issuing. At the end of this stage, the application is approximately 1 week from the completion date. 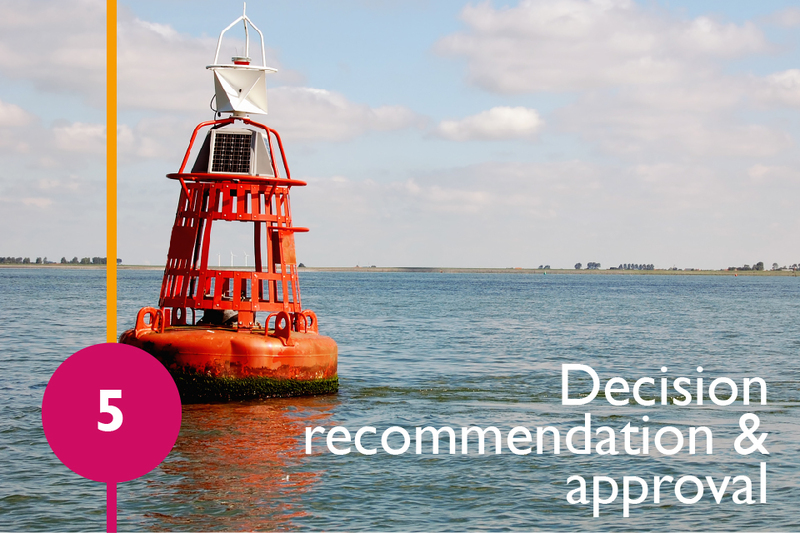 The marine licence, decision documents and supporting information are published on the public register. 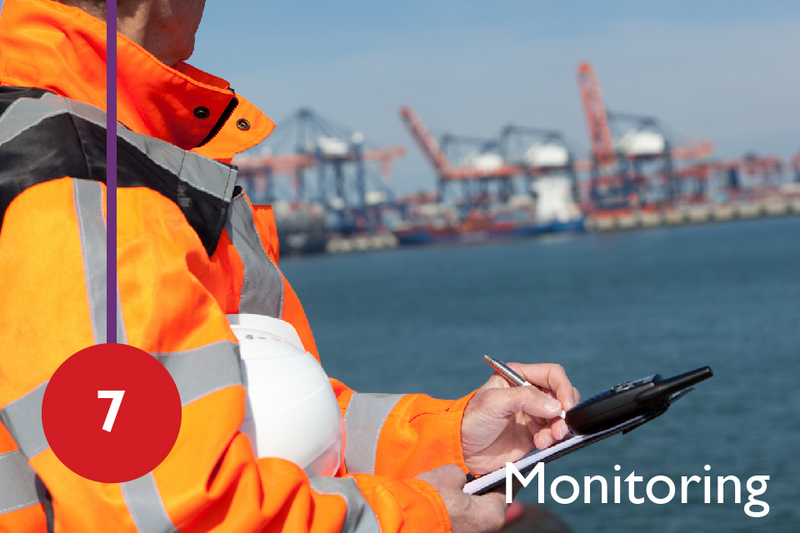 Impacts and consequences of activity are monitored in accordance with any conditions on the marine licence.